The PLAY Project helps families use play to meaningfully interact with their child to aid their development. 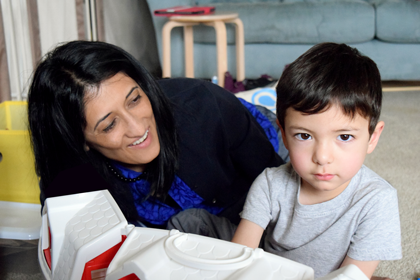 Playing together is natural for children and is proven to build connections and bonds which, in turn, strengthens a child’s social-emotional learning – an area which children with autism are challenged. PLAY Project is delivered by master’s level experts in child development fields who undergo an intense, 18-month training with reflective supervision in order to become certified PLAY Project Consultants. Parents, caregivers and their PLAY Project Consultant partner together to create an individualized plan for the child. Through observation, modeling, video review, coaching, families then work directly with their child to connect together and aid their development. Ongoing reassessment is key to ensuring every child receives the support they need.